Jack remembers relaxing in the passenger seat safely watching the world go by and then suddenly the truck was spinning out of control taking up both lanes of the road. 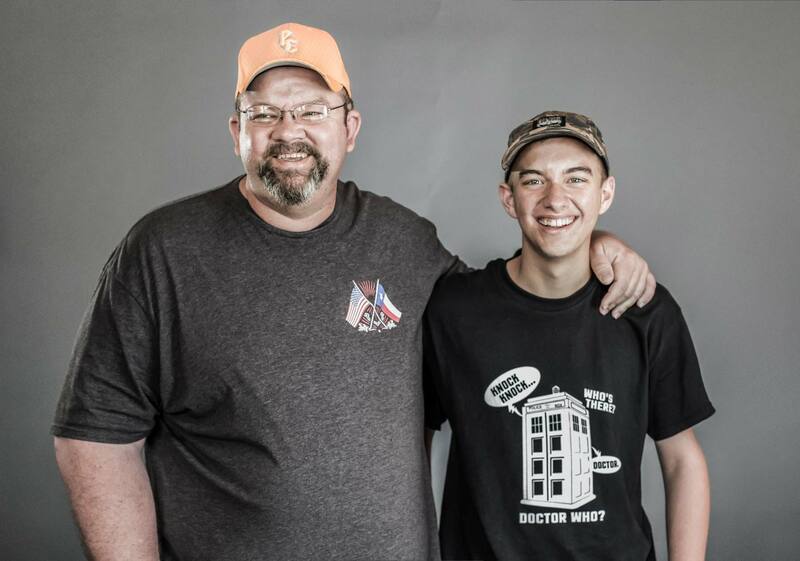 Wes said, “It was a bad enough wreck that all the airbags went off in the truck.” It was a very scary moment for father and son, and even though the truck was completely totalled, both Wes and Jack were able to get out of their vehicle on their own unharmed. This wasn’t the first time Wes and Jack had been grateful for their Ranch Hand grille guard; they’d had a previous accident where they hit a deer head on. Because of their Ranch Hand brush guard the truck escaped the accident without even a scratch on it, saving them thousands of dollars’ worth of damages. When Wes and Jack looked back on the twisted wreck of their truck that day they couldn’t believe how lucky they had been to walk away from the potentially fatal crash without any injuries. “The best five to six hundred bucks I ever spent on that truck was that brush guard,” and Ranch Hand is the only brand Wes plans on buying in the future.